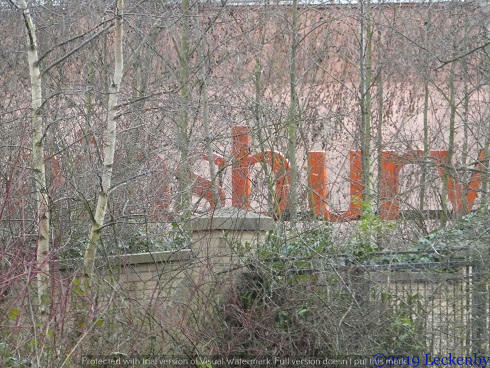 Sainsburys to Stoke Lock, River Trent. Hooray!!!! The title to this post isn’t quite true, but we’ll get to that in a short time. I woke this morning feeling more connected to my legs and my brain seemed to be manging to keep up with my skull movements, not totally back to normal but a good sign. The students across the way had finally gone quiet by 4.20am, so not the best nights sleep. The alarm had been set, Mick was up, had breakfast and was on a bus out to Sawley Marina before 9am to get us new life jackets. Last night we’d decided that we’d definitely buy new jackets, after all what is £65 if you happen to fall over board as the tide is heading out to sea! 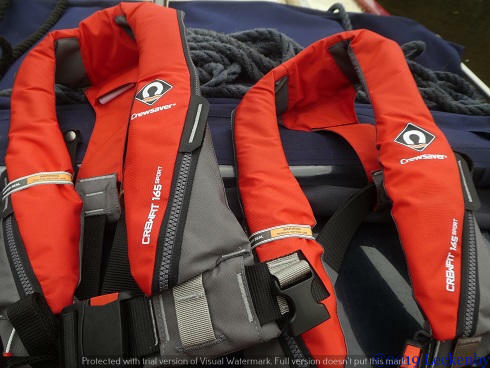 The chap Mick had talked to yesterday said that once your life jacket gets to 10 years old they should be replaced anyway, as a service centre wouldn’t be able to certify them again. I’m sure they last longer than this, but better to be safe. 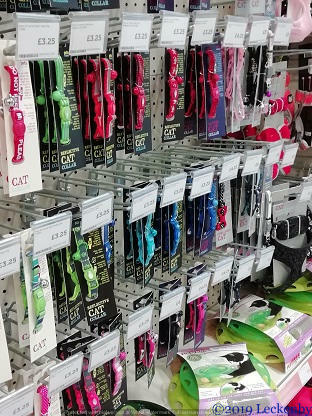 Meanwhile I popped to Pets at Home to pick up a new collar for Tilly. The spare one I’d bought a while ago had a good bell but a very stubborn clasp. I had difficulty pulling it open, so if Tilly got hung on a branch it might not give way with her slight weight. I checked through the collars for their safety. Tilly wears a collar with a tag should she get lost (or worse) then we can be reunited with her easily (she’s also micro-chipped), the bell is also in the feeble hope that her ‘friends’ will hear her coming. It also helps us know where she is. To have a collar that then could be the cause of her demise whilst at the top of a fantastic tree would be horrible. I selected a good collar with a good bell, not pink and sparkly but boring blue!!! Sainsbury’s 0 – 400gms Blueberries NB Oleanna! A touch too early for lunch we pushed off. Oleanna headed to the entrance of the marina. There was quite a breeze coming straight towards us, so instead of putting the bow into the entrance to wind he went stern in. This meant that with the flow on the canal and the wind pushing the bow turned itself, a proper wind. We were now facing the right direction for Yorkshire again. As we approached Castle Lock we suddenly realised that we’d forgotten something. No Saturday newspaper! Damn!! Once down the lock I left Mick to keep pootling towards Meadow Lane Lock whilst I popped up from the towpath towards the station, picking up a newspaper en route back to the canal whilst cutting the corner. Phew, that was a close thing. There were crowds all heading for the Forest match so we decided that we’d push on rather than sit filling with water for ages at the slow tap. The new life jackets came out, were adjusted to fit. The design of them has improved and they are much more comfortable than our original ones. 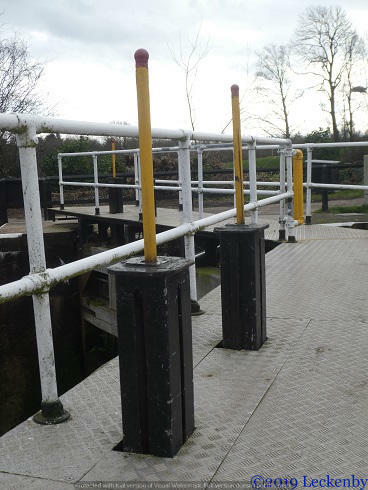 I lifted one paddle to empty the lock saving having to walk round it several times as the gates felt too high and narrow to cross today with a slightly wobbly head, then we were on our way. 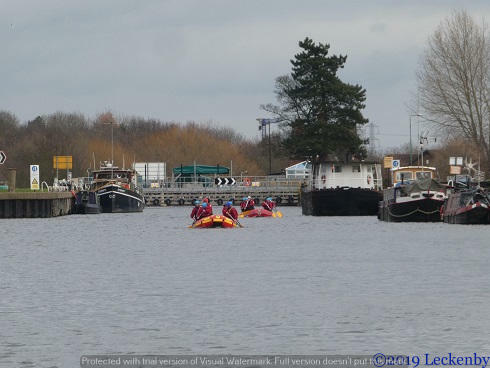 Holme Lock soon came into view with the days white water rafters paddling their way towards us. We last came through here almost two years ago. 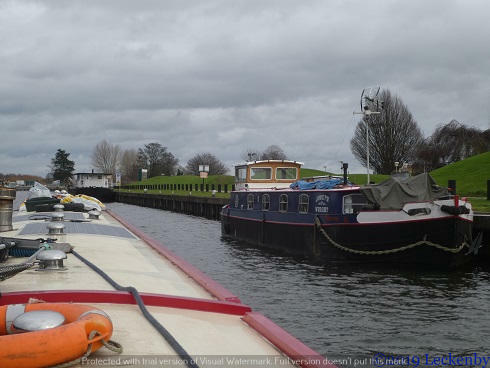 Works were ongoing with the hydro electric scheme between the lock and weir, all the long term moorings had been on the towpath side for years, but today they have returned to the lock island. 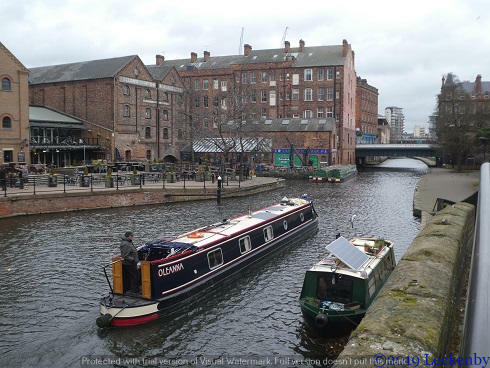 A few large boats were moored up on the visitor moorings, one familiar one from our time in Newark. Up at the lock there were several people in life jackets, the light on amber (self operation) and a chap stood by the panel. A small cruiser bobbed away as the lock was being filled and the crew stood above and watched as it slowly rose. The chap with the key of power at the panel said he’d wait and close the gates for us (your key is trapped until the panel is closed), except he had a senior moment and started to close the gates as Mick headed towards us. Fortunately for the little plastic cruiser the gates opened in time and Mick managed to keep Oleanna from being blown into them. 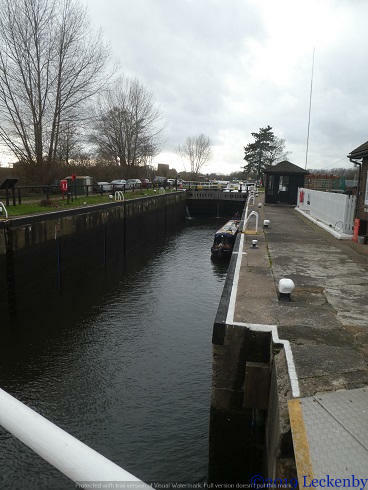 Once the gates were finally closed and the chap took back his key I had power at the bottom end of the lock, we’re now on automated locks until we reach Bramwith in Yorkshire. Along the next reach of river we saw no other boats, the winds starting to pick up now. 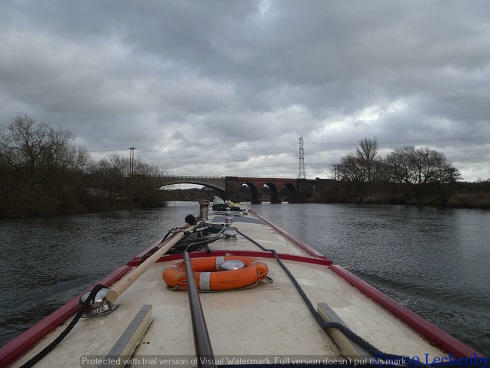 We motored on under Radcliffe Viaduct Rail Bridge stretching off to the right with it’s many arches, around one last big bend in the river and we could see the amber light at Stoke Lock. Stock Lock is possibly the prettiest on the Trent, in the autumn it is wonderful. Above the lock the floating visitor moorings welcomed us, plenty of space. The wind was now quite strong and rain imminent, we were pushed into the pontoon, glad to be stopping for the day. A quick look round and it was decided that the pontoon was not cat friendly, too many reeds in the water just out of pouncing distance. So no shore leave for Tilly today, maybe tomorrow we’ll move up a bit onto the low mooring away from the pontoon, but with strong winds heading our way we’ll leave that decision until tomorrow. Instead I amused Tilly by getting her escape pod out and zipping it together. She’s already taken up residence, we may not see her for days! 3 locks, 6.91 miles, 1 left, 1 box of wine, 400gms free, 1 newspaper just, 2 new life jackets (we’ll be keeping these), 1 proper wind, 1 tiny boat, 6 crew, 1 torturous mooring, 541 fantastic looking trees just waiting to be climbed, 0.5 water tank to last us until the wind drops. 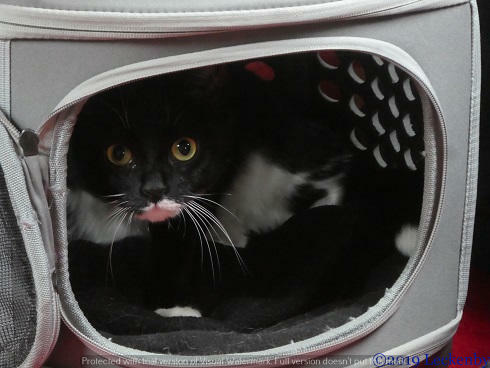 This post brought to you by Blogger and Visual Watermark after reducing photos in Paint. 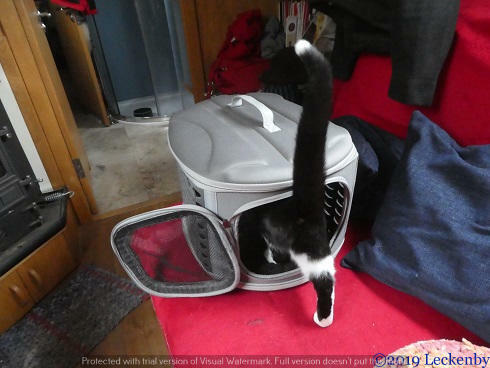 This entry was posted in Uncategorized on 28th Jan 2019 by pipandmick.